One of the most enticing quarters of France to visit, especially for the British, is the Dordogne valley close to the area of Perigueux. I travelled there myself early in 2014 and enjoyed immensely a guided tour of the Gardens of Marqueyssac. 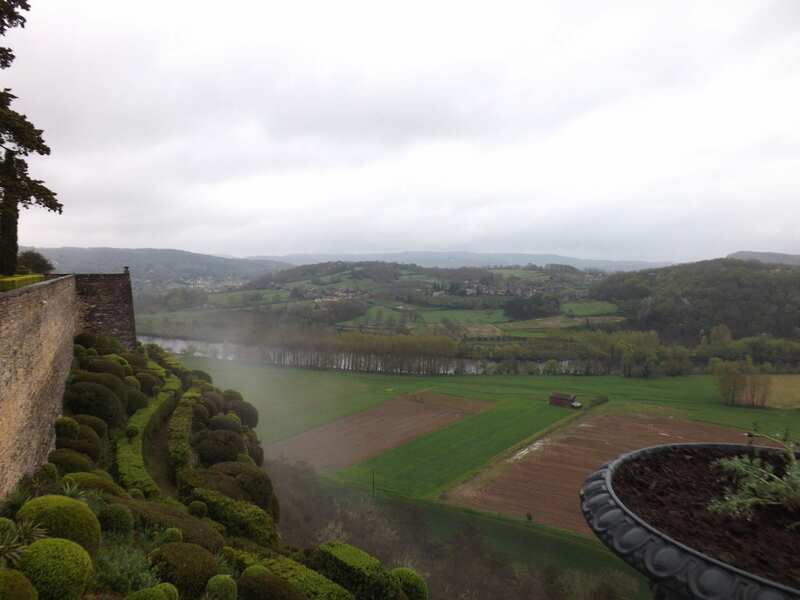 The vast rocky outcrop, high above the river valley and occupied by the gardens, provides the most breathtaking view of so many features associated with the Dordogne department. The tended Gardens of Marqueyssac are positioned on a very imposing, dry limestone spur 130 meters above the Dordogne River flowing below. The landscape observed from this airy perch resembles a well-planned oil painting. Four historic castles that lie at the base form an encompassing quadrangle. 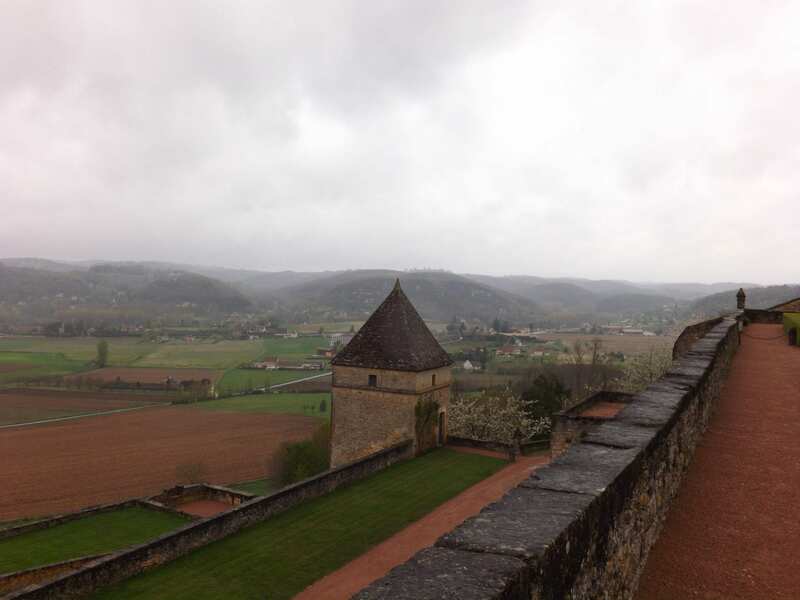 The castles of Fayrac, Beynac, Castlenaud and Marqueyssac represent classical French architecture and are significant historical features in their own right. Contained within the confines of the ‘painting’ the observer can see the villages of Domme, Roque-Gageac and Saint- Julian de Cenac. These charming little towns are also ‘must see’ places if you happen to be down there. The gardens originally came into existence around 1692. The local Bishop of Sarlat had plans drawn up for some gardens to compliment his palace. The initial landscaping commenced at around this time. Later, in 1861, the property came into the ownership of a certain Julien de Cerval, a regional magistrate. De Cerval took a passionate interest in maintaining and upgrading the gardens. He imposed his personal Italian culture from a previous life to a refinement that is preserved to this day. The gardens nowadays are in private ownership but are very much open to public visits all year round. The current owner is Kleber Rossillon and he devotes much to the preservation of the historical features of the region and his gardens. He has also committed much of his time to the restoration of Castlenaud, close by. This is now the most visited castle in France. 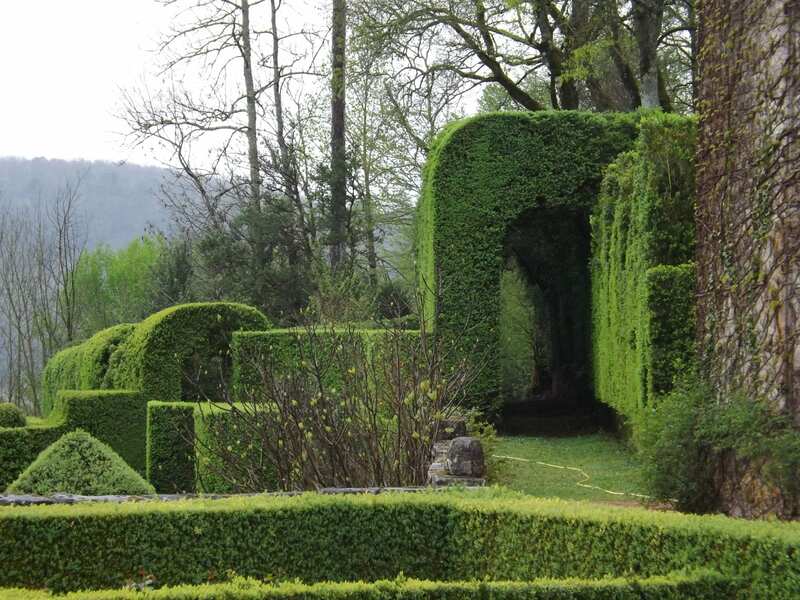 The Gardens of Marqueyssac cover an area of 22 hectares and provide a view in all directions stretching out to more than 10 kilometres around the Dordogne department. The gardens feature large areas of the most bizarre and unusual topiary that receive much tender attention. The sculptured hedging largely represents solid rock features, musical instruments and plants. There are many other topiary exhibits though, representing more obscure shapes as well. The carefully cut figures are all laid out in gently sloping patterns with clearly defined boundaries. The experience of being there feels a little like having a part in a horticultural fairytale. Within the gardens as well, over 150,000 boxwood trees have been planted. These are very slow growing plants and very resistant to the weather. The wood has a high value and is ideal for fine carving of small objects of artistic importance. There is an open air workshop with craftsman demonstrating the art of boxwood turning to the visitor. Their creations can be purchased in a local shop in the parkland. The gardens also provide home to many types of wildfowl and birds of prey. Two pairs of peacocks stroll peacefully and arrogantly through all the wide areas of plants, trees and fauna. Marqueyssac is aimed very much at children. They can play quite safely amongst the plant life and trees whilst the adults enjoy the stunning view of the surrounding countryside. There is a maze too where children can enjoy ‘getting lost’ knowing that help is always near at hand. Rock climbing training is also provided on the limestone slopes of the high outcrop. Carefully planned and designed slopes are supervised by professional climbing instructors. 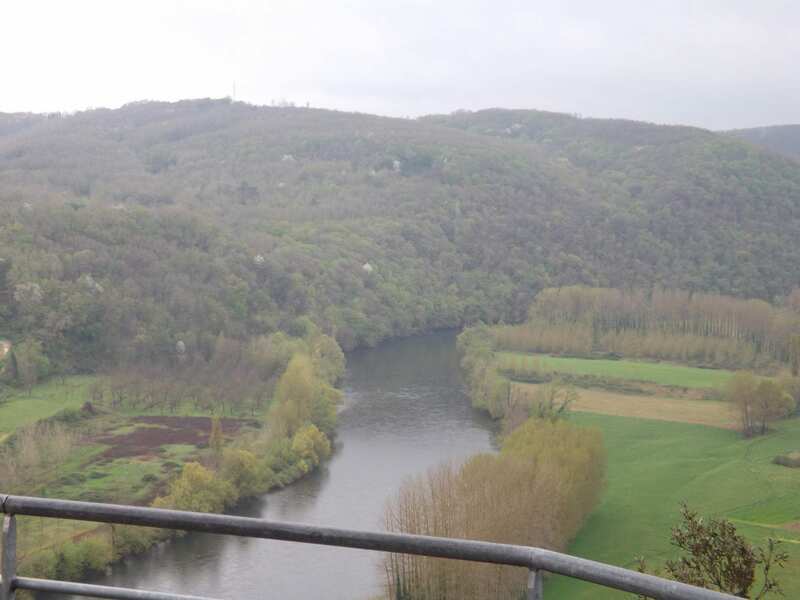 The finest quality safety equipment is provided and children can stretch their wings and nerves in complete safety high above the Dordogne River below. Play areas with swings, slides, ropes and huts made of the garden’s natural woods are available for the very youngest. One of the highlights of the gardens is the annual Easter Egg Hunt. Some chocolate eggs are hidden amongst the foliage every Easter weekend for children to go and search for. It is open to everyone but is especially enjoyed by the local children who look forward to it for weeks. There are candlelight night walks for all as well. A few of the pathway walking routes are lit with many candles providing an exotic sense of local atmosphere. Night time picnics along the way must provide an almost unique adventure. I tried to imagine attending one and enjoying the French experience. I would be able to contemplate the view below me with a glass of wine in hand. There are two open air theatres in the gardens and permanent traditional sculpture along the pathways for visitors to enjoy. Additional structural art includes four Italian style terraces built with natural chestnut wood. The terraces help preserve the inherited Italian culture of the garden that is evident everywhere. 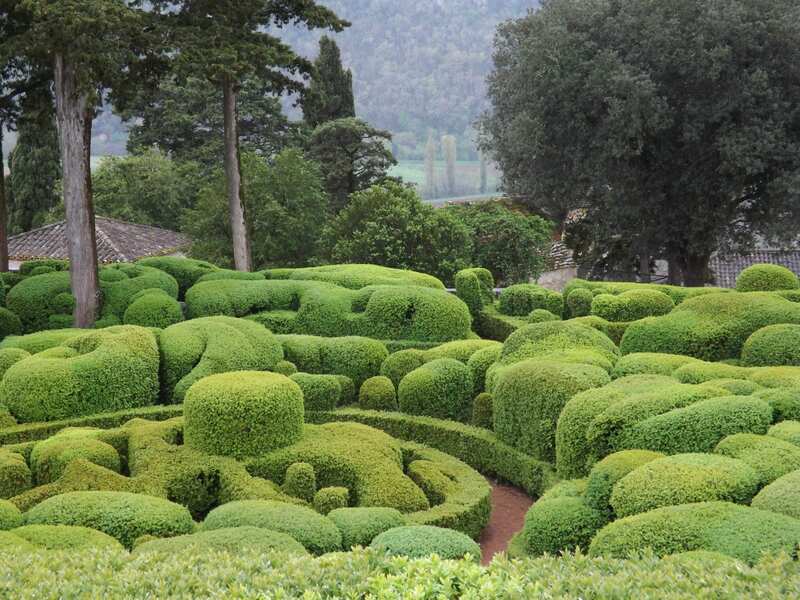 Marqueyssac is maintained by a mere five gardeners. They doubtless have to work very hard to preserve the natural beauty. They keep all of the topiary in tip top condition all year round. Additional people working in the grounds provide organised educational tours and walks for both adults and children. Information about the trees, fauna and wildlife is carefully provided with supporting literature. 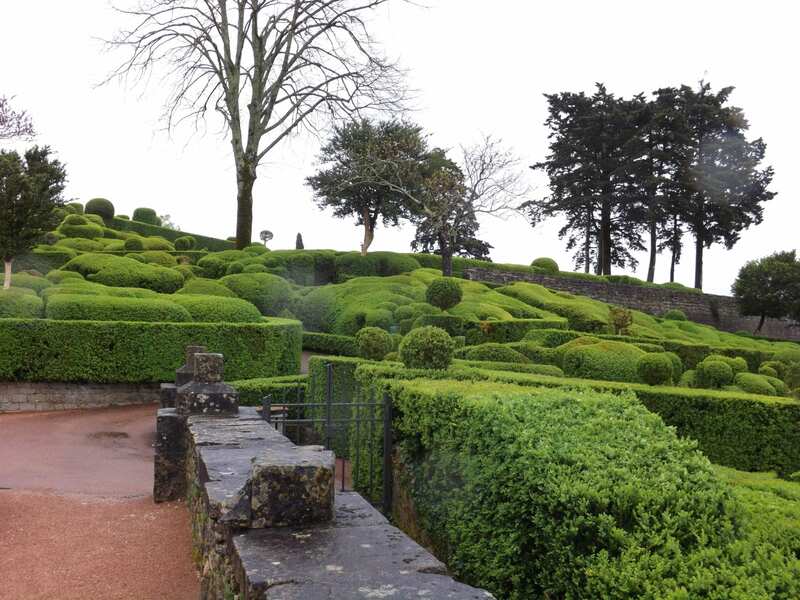 At a few locations along the walking routes in the gardens, you will find panoramic viewing points or ‘belvederes’ as they are called in Marqueyssac. These are fenced projections protruding over the edges of the limestone bluff. 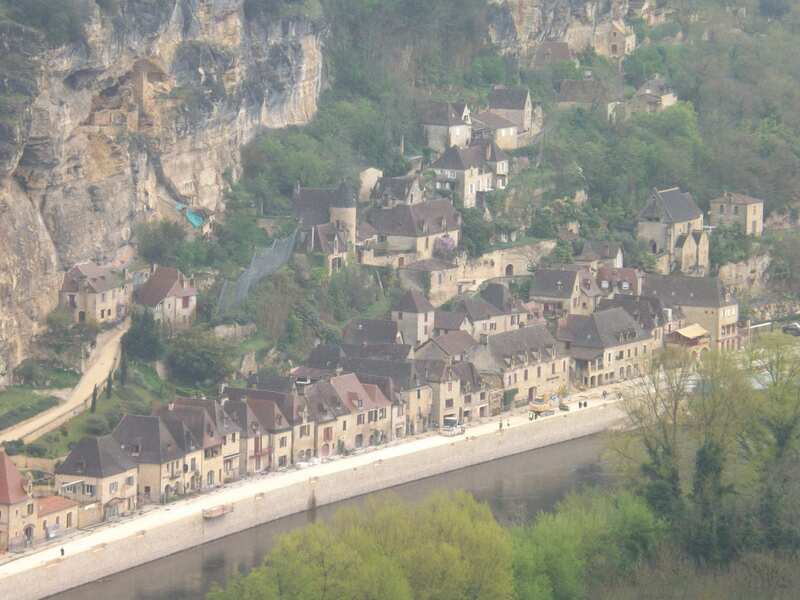 They allow visitors to view so much of the Dordogne region spread out below. They support powerful telescopes to ‘close in’ on chosen features. From all corners, the views are breathtaking and I could have spent the whole day just looking. 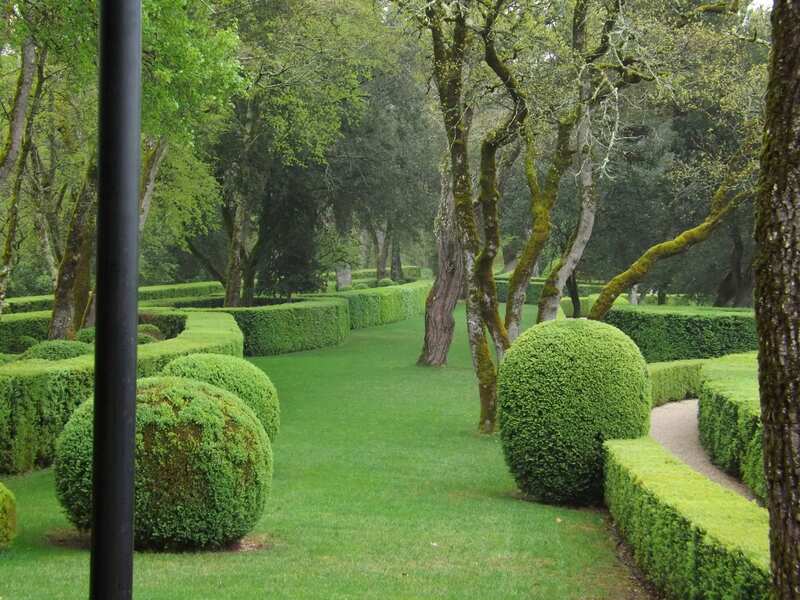 A visit to the Gardens of Marqueyssac is a truly peaceful and rural experience to visually take in and enjoy the splendour of the Dordogne valley spread out all around you. It is certainly a game of natural discovery and adventure for all children. The gardens are open all year round and are inexpensive to visit. Costs are roughly eight Euros for adults and four Euros for children. Youngsters under ten get in for free.